Victims of mob wrath or the police force? 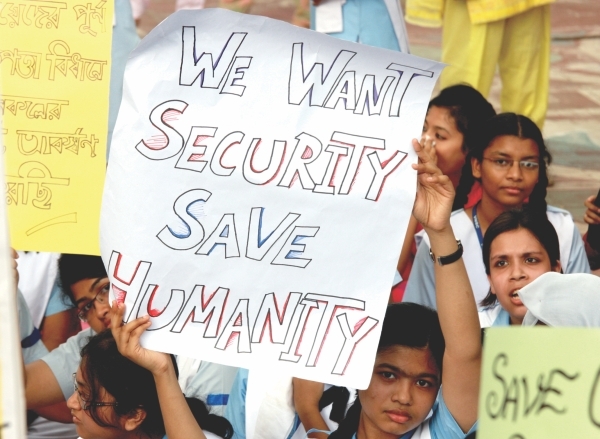 The villagers of Aminbazaar beat six students to death. They were nothing but innocent victims of mob justice. Mothers lost their precious children and sisters lost their loving brothers. There can be no consolation for them. 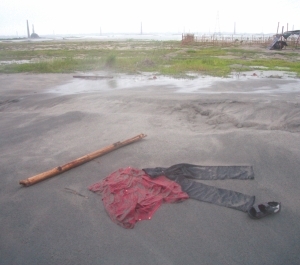 When we saw photographs in The Star of the deceased boys' clothes and glasses lying on the ground, we were horror struck. Keblarchar is a place where the villagers were robbed by dacoits regularly. They had had no faith in police and felt the need to take action to protect themselves and their possessions. So whom do we hold responsible for these deaths? The police or the desperate villagers? The police are supposed to be our protectors. If they are unable to ensure the safety of their lives and wealth, who will people turn to? In my opinion the police were equally responsible for the deaths of these young men as the villagers who murdered them. When will the terror end? I read the story of the adventurous friends in the Star Diary titled ‘A Reward Out of The Blue’, with mixed feelings. A boy decided to take mushrooms, which induce hallucinations, which is bad enough, but the matter gets serious when he decides to basically kidnap a child because he thinks the child is a character from a movie (hobbit). Funny as it may seem to the readers at first, I believe this group of people acted irresponsibly and dangerously. What if something had happened to the child? What if, “hobbits” were evil creatures that needed to be destroyed? This child could have been hurt. On top of that, when his friends had a chance to make things right, they decided to accept money and lie when they returned the child. What kind of example does that set for their peers? How were they able to live with that? If these people are so corrupt in their teenage years, what will become of them when they grow older? They will always make bad choices and take the easy way out of every situation. I think their behaviour was disgraceful and they could have made better, more responsible decisions. I am writing this letter in response to the cover story published in The Star, a weekly publication of The Daily Star, on July 29, 2011. It is not unusual that any news magazine will give coverage to the socially sensitive issue of sexual harassment. The question is, if teachers from villages did the same thing would the incident receive so much media attention? Do all these incidents only happen in reputed schools in the capital? There are thousands of schools outside city where the situation is much worse. Who is going to cover these untold stories? Why is this particular incident at the VNS receiving so much media coverage? Being a teacher I myself feel ashamed of what a fellow teacher has done. However the way the whole story unfolded under the headline ‘The search for a safe school’ is questionable. I am not a social scientist or psychologist or an expert of any sort, but I strongly believe that any crime committed by an individual, happens because of many contributing factors, such as social degradation, fall of personal values, loss of religious faith and personal anxiety. There may be tons of reasons. Therefore, any kind of crime can be committed by anybody lacking self-control and morals. We are no longer surprised when sexual abuse or child molestation is done by the police or officers of other law enforcement agencies. The reason is very simple-- because we have already had previous experience with these incidents. Porimol Joydhor's crime is new and interesting for readers. I am in no way justifying what he did and no one can do so. What I am trying to do is to tell people that they should not be afraid of teachers in general because of what one person has done. If we look back at the troubled times during our independence war, we can see incidents of sacrifice and selfless acts by the students who were encouraged by their teachers and mentors. As a result we are a strong independent nation. My point is, it is not fair to generalise and slander the whole community of teachers just because of an isolated incident. This type of incriminating campaign may negatively affect the whole academic system, which is harmful not only for the teachers and students but also for the people of our country as a whole. I strongly believe the values of students are still protected by teachers and we will continue to do so. And only through mutual understanding and increasing amount of teacher-student interaction can incidents such as these be put a stop to. Just reading a glossy newspaper article and giving a quick verdict can hardly contribute positively in this situation.